It looks fairly harmless; it’s hiding it’s game. After a few summers in Brittany we’ve discovered what has to be the best Kouign Amann. Period. 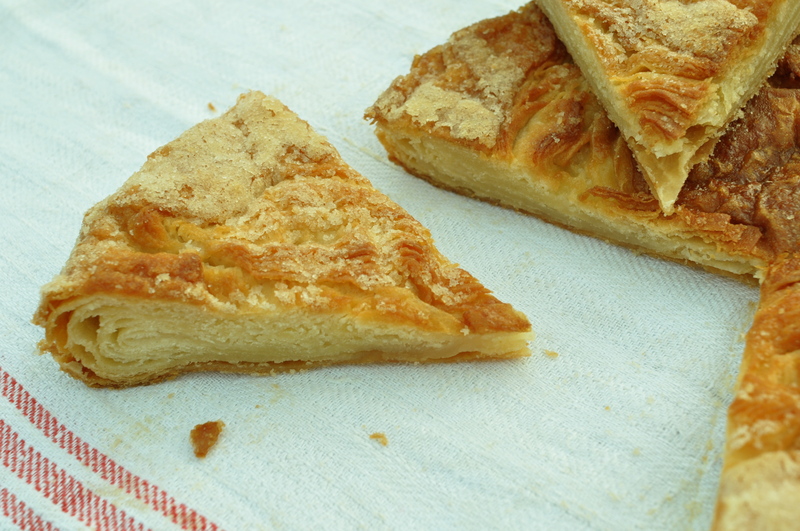 Kouign Amann is a traditional Breton… cake? bread? voluptuous addiction? The most common version is a bread batter folded many times over with butter and sugar to create a dense, caramelized, buttery puff pastry of sorts. According to renowned Breton chef Jacques Thorel, original Kouign Amann was made with leftover bread dough simply mixed with butter and sugar. The technique of folding the dough repeatedly came later, invented by a baker who knew about puff pastry. 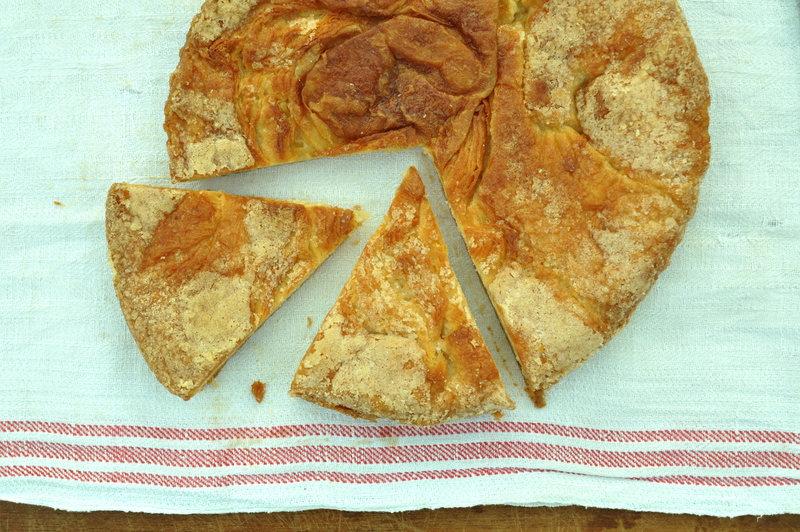 I haven’t attempted to make Kouign Amann – yet. Currently our summers in Brittany are occupied more by heavy construction work than creative cooking. But we look for every excuse to drive the 25-odd minutes to Morlaix, to a small boulangerie hidden on a steep side street, framed by the towering viaduct that contributes to the town’s unique character. The Kouign Amann from Au Four St Melaine doesn’t look as good as it tastes. It’s no shining, copper disk oozing with butter and sugar. It looks somewhat staid. But, once heated (for about 10 minutes, in a medium oven), it caramelizes on the surface while loosening up inside and becomes a seriously dangerous temptation. You’ll see. If ever you are in Morlaix. 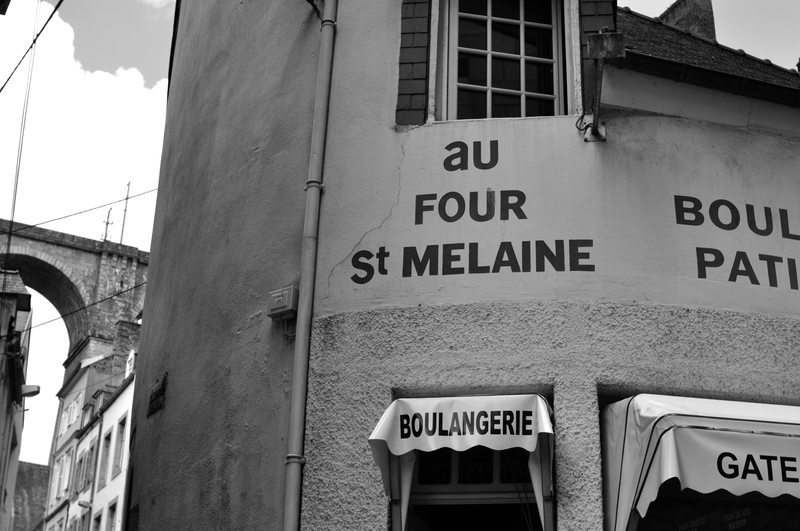 UPDATE SUMMER 2012: Au Four St Melaine has closed. Tragic. We have not yet found an adequate replacement. This entry was posted on 15 September 2011 at 10:57 and is filed under Dessert. You can follow any responses to this entry through the RSS 2.0 feed. You can skip to the end and leave a response. Pinging is currently not allowed.